1. 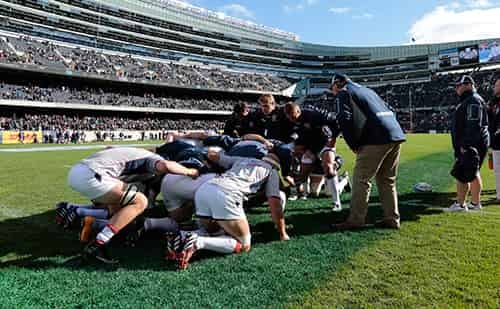 This Agreement sets forth the terms and conditions of use for the web sites operated by the United States of America Rugby Football Union (referred to as “USA Rugby,” “we,” “us,” or “our” herein) at www.usarugby.org, referred to as the “Site.” The term “you” refers to anyone who accesses, reviews, or in any way makes use of the Site. 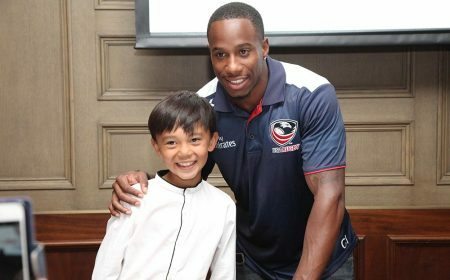 USA Rugby reserves the right to change, modify, add or remove portions of this Agreement at any time. Your continued use of the Site after such notice will be deemed to constitute acceptance of such changes, revisions or modifications. Please check this Agreement periodically for changes. 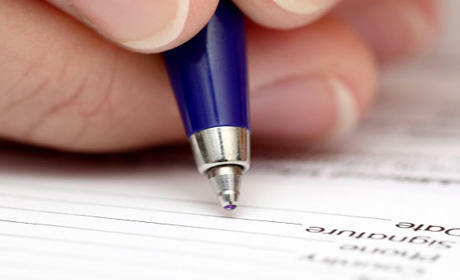 This Agreement will be effective on the date You first use the Site and will continue until terminated. 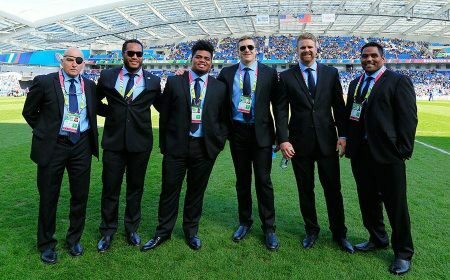 USA Rugby may terminate this Agreement immediately, for any reason or no reason, with or without notice to You. 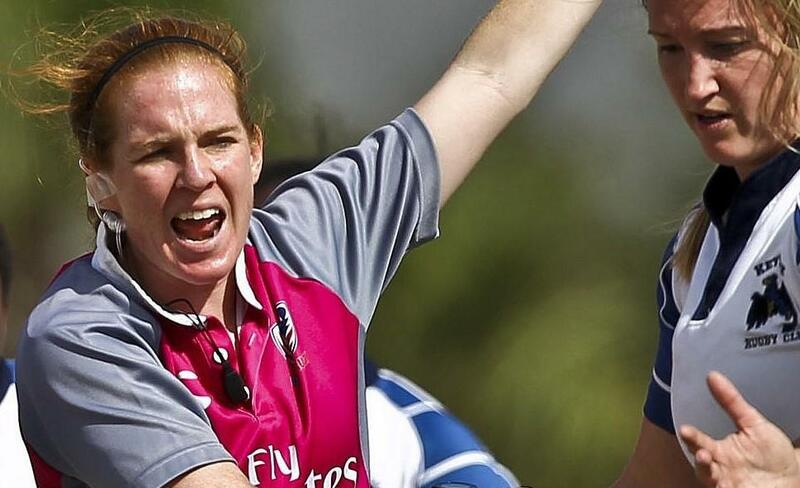 You may terminate this Agreement upon written notice to USA Rugby, such termination effective 10 business days following acknowledgment of receipt of such notice by USA Rugby. 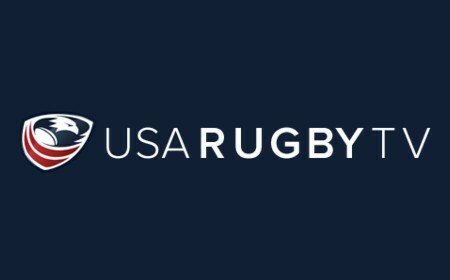 USA Rugby may also suspend Your use of the Site and direct You to cease using the Site with or without notice to You and with or without cause. Upon any termination of this Agreement, all rights granted to You under this Agreement will cease; if You are a Registered User, Your Account will be closed, and You must promptly discontinue all access to any part of the Sites. Sections 2, 3, 4, 5, 6, 8, 11, and 12 will survive termination or expiration of this Agreement for any reason. 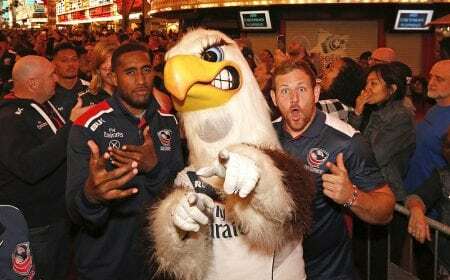 The Site is owned by USA Rugby. You may access and use the Site solely for lawful, personal, informational, non-commercial purposes only, and only in accordance with the terms of this Agreement. 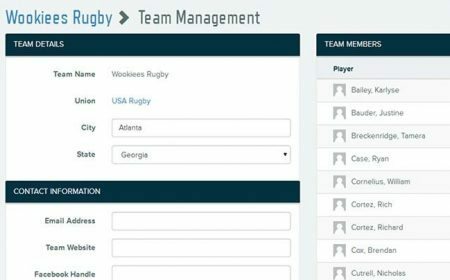 USA Rugby reserves the right at any time and in its sole discretion to modify, suspend, or discontinue the Site (or any portion thereof) with or without notice. 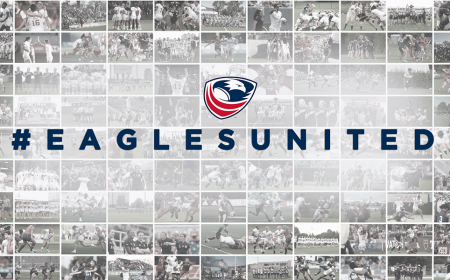 USA Rugby, may, from time to time, offer Site users the opportunity to download certain software from the Site. For purposes of this Agreement, the term “software” includes any files or images incorporated in or generated by the software, and any data accompanying the software. We hereby grant to you a non-exclusive and non-transferable license, during the term of this Agreement, to download and use a single copy of any software that we so offer to Site users on a single computer for your lawful, personal, informational, non-commercial use only, provided that you keep intact all copyright and other proprietary notices contained in such software. We also invite you to download a single copy of the text, graphics, animation, photographs and other materials contained in the Site on any single computer for your personal, informational, non-commercial use only, provided that you keep intact all copyright and other proprietary notices contained in such materials. The use of any such materials (including the software) in any other manner or for any other purpose, including on any other web site or networked computer environment is prohibited. 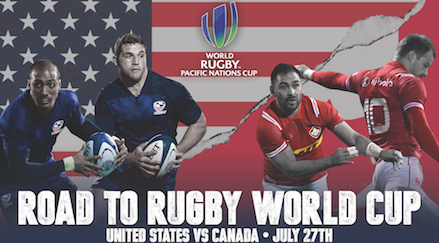 The Site is controlled and operated by USA Rugby from within the United States of America. Unless otherwise specified, the materials contained in the Site are presented solely for the use of users located in the United States of America and its territories and possessions, excluding Puerto Rico, American Samoa, Guam and the Virgin Islands. 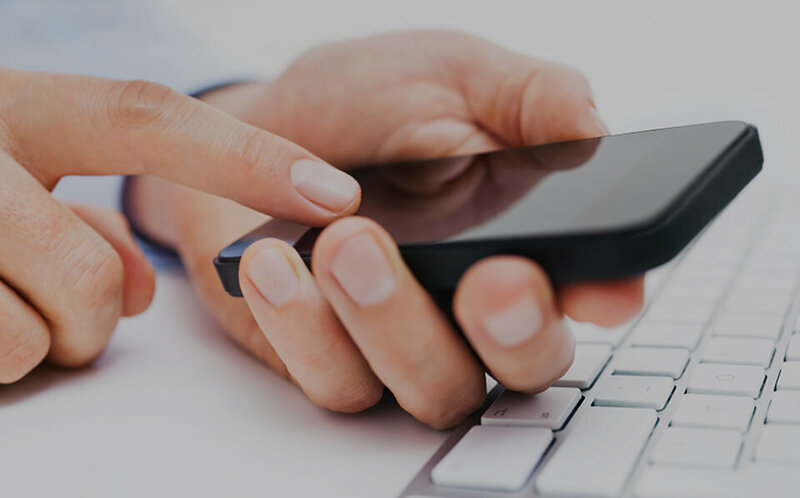 Those who choose to access the Site from other jurisdictions do so at their own initiative and are solely responsible for compliance with applicable laws, rules and regulations. All software contained in the Site is subject to United States export controls. No software from the Site may be downloaded or otherwise exported or re-exported: (a) into (or to a national or resident of) Cuba, Iraq, Libya, North Korea, Iran, Syria, or any other country to which the U.S. has embargoed goods; or (b) to anyone on the U.S. Treasury Department’s list of Specially Designated Nationals or the U.S. Commerce Department’s Table of Denial Orders. By downloading or using any software, you represent and warrant that you are not located in, under the control of, or a national or resident of any such country or on any such list. The text, files, images, graphics, illustrations, information, data, audio, video, photographs and other content (collectively, “Content”) available on or offered through the Site and any other contents of the Site (such Content, collectively, “Site Content”) are protected by intellectual property rights, including, as applicable and without limitation, copyrights, trademarks, patents, and other proprietary and intellectual property rights (“Intellectual Property Rights”). 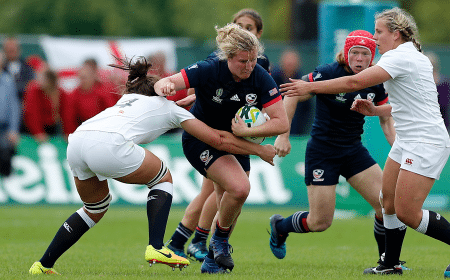 Unless otherwise noted on the Sites, as between You and USA Rugby, its partners, affiliates, vendors and licensors (“Affiliates”), all Site Content is owned by USA Rugby and its Affiliates. The non-exclusive non-transferable license described in the “Scope of Use” Section of this Agreement does not confer on you ownership rights in or to the Site or the Site Content through this Agreement. You may only use the Site Content for personal, non commercial use. You may not use any robots, data mining tools or other data gathering tools to extract Site Content. You may not create or publish a database containing a substantial amount of Site Content. 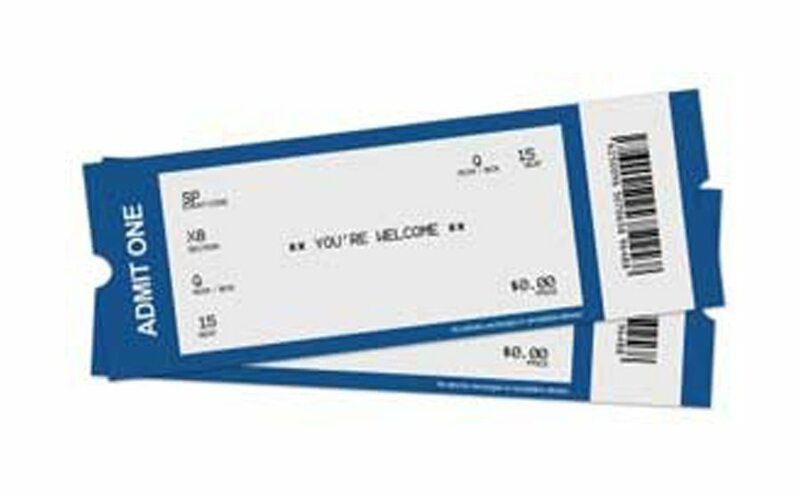 You may not use any Site Content for any commercial purpose or charge a fee or other consideration in exchange for the Site Content. You may not utilize the Site Content to sell, advertise, endorse, or otherwise promote any other service, product or party. The creation of derivative works based on any materials contained in the Site including, but not limited to, products, services, fonts, icons, link buttons, wallpaper, desktop themes, on-line postcards and greeting cards and unlicensed merchandise (whether sold, bartered or given away) is expressly prohibited. 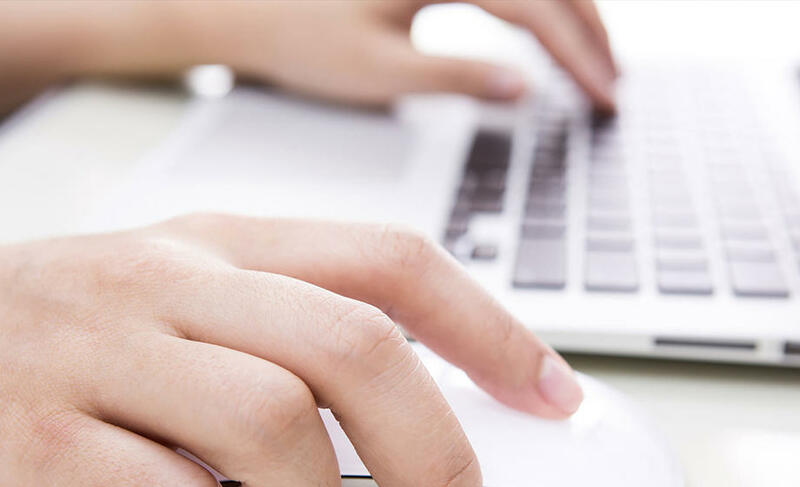 The Sites may include questionnaires, surveys, forums, bulletin boards, chat rooms, or other opportunities through which You may provide or upload Content to the Site (such Content, “Provided Content”). You agree not to upload or provide any Provided Content that is: (1) libelous, defamatory, obscene, abusive, pornographic, threatening, or an invasion of privacy; (2) an infringement of the Intellectual Property Rights of any third party; (3) illegal in any way or that advocates illegal activity; (4) an advertisement or solicitation of funds, goods, or services. 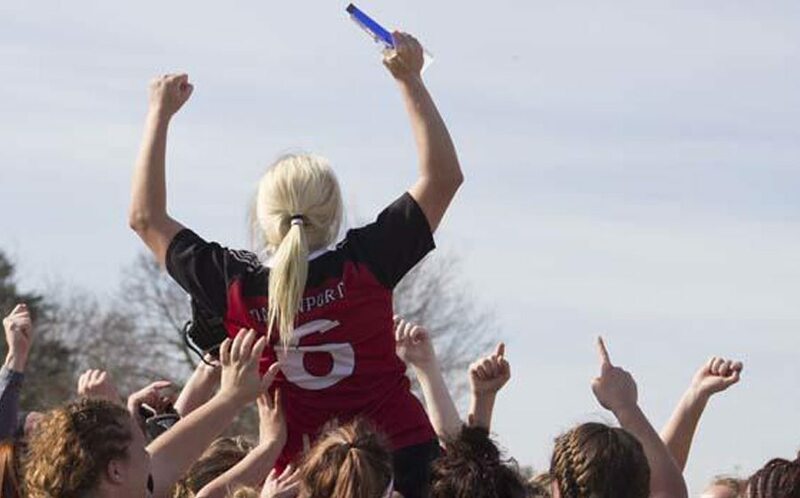 You hereby represent and warrant to USA Rugby and its Affiliates that You own all right, title, and interest in and to any Provided Content that You provide or upload to the Sites, or that You have sufficient rights, whether by implication, estoppels, or otherwise, to grant USA Rugby the rights discussed in this Section. 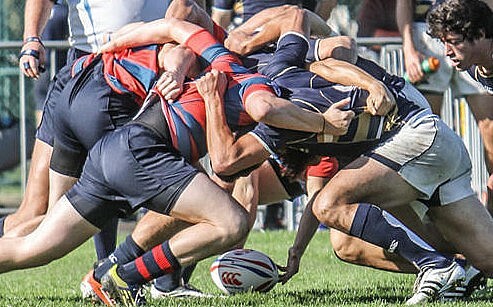 You will indemnify, defend, and hold harmless USA Rugby and its Affiliates from any and all third-party claims, losses, liabilities, damages, fees, expenses, and costs (including attorneys’ fees and court costs) that result from a breach or alleged breach of any representation or warranty set forth in this Section. 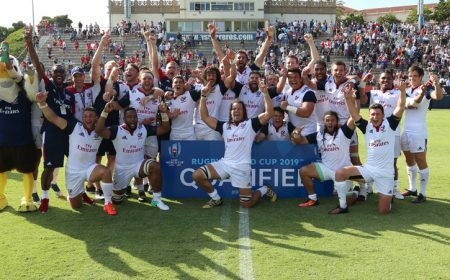 By providing or uploading any Provided Content to the Sites, You grant USA Rugby a nonexclusive, royalty-free, perpetual, irrevocable, and fully sub-licensable right to use, copy, store, reproduce, modify, display, adapt, publish, translate, create derivative works from, distribute, and display such Provided Content throughout the world in any form, media, software, or technology of any kind. In addition, You waive all moral rights in the Provided Content or warrant that all moral rights applicable to such content have been waived. 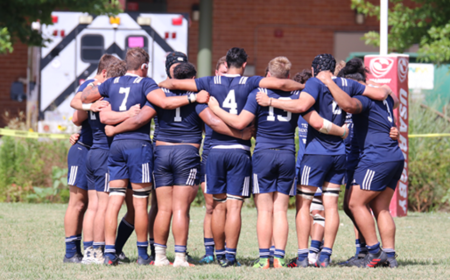 You also grant USA Rugby the right to use Your name in connection with the reproduction or distribution of such material. 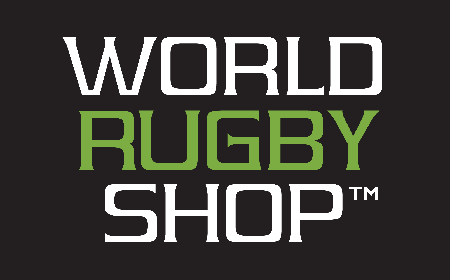 “USA Rugby Marks” means the words USA RUGBY, the USA Rugby shield, and all other trademarks, service marks, words, symbols, terms, logos, emblems, designs, designations and trade dress used by USA Rugby in connection with its goods and services. 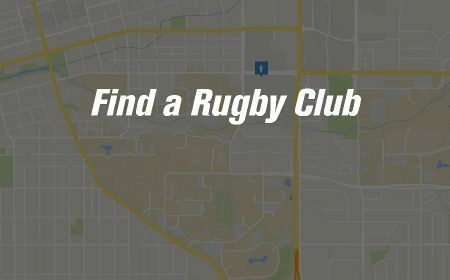 All USA Rugby Marks are the exclusive property of USA Rugby. 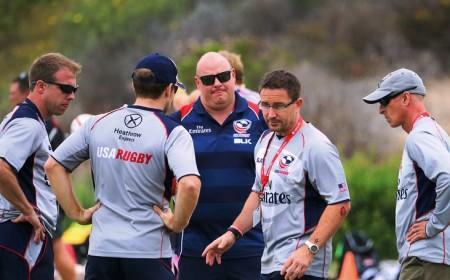 This Agreement does not authorize you to use any USA Rugby Mark. Any such use is expressly prohibited. 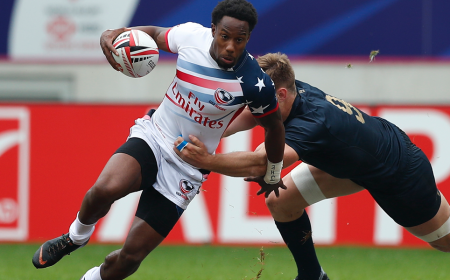 Unauthorized use of any USA Rugby Mark may be a violation of federal and state trademark laws. 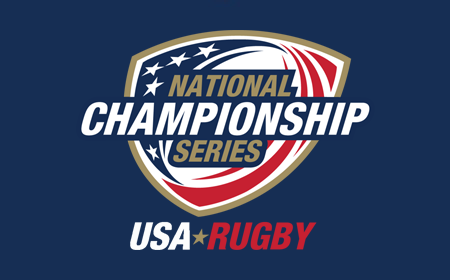 You hereby represent, warrant, and covenant for the benefit of USA Rugby and its Affiliates that: (1) You have the legal right and authority to enter into this Agreement, and, if You are accepting this Agreement on behalf of a company or other entity, to bind the company or other entity to the terms of this Agreement; (2) You have the legal right and authority to perform Your obligations under this Agreement and to grant the rights and licenses described in this Agreement and in any applicable additional agreement You enter into in connection with any of the Services; and (3) all information You provide to USA Rugby in connection with this Agreement and Your access to the Site and use of the services and information is correct and current. 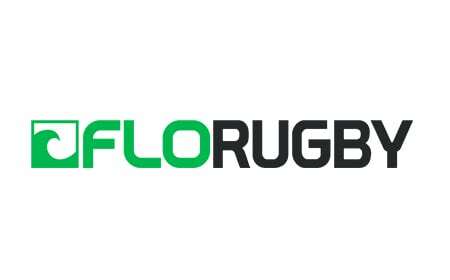 The Site may contain information, news and/or press releases about USA Rugby and its affiliated organizations. 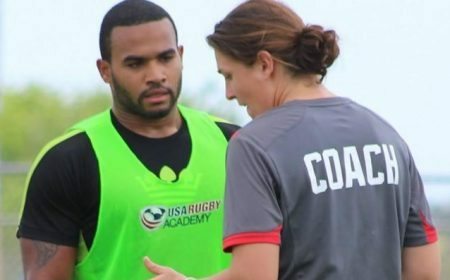 While this information is believed to be accurate as of the date it was prepared, USA Rugby and its affiliated organizations disclaim any duty or obligation to update such information. Until You apply for and are approved as a registered user (a “Registered User”) of the Sites, Your access will be limited to the public areas of the Sites. 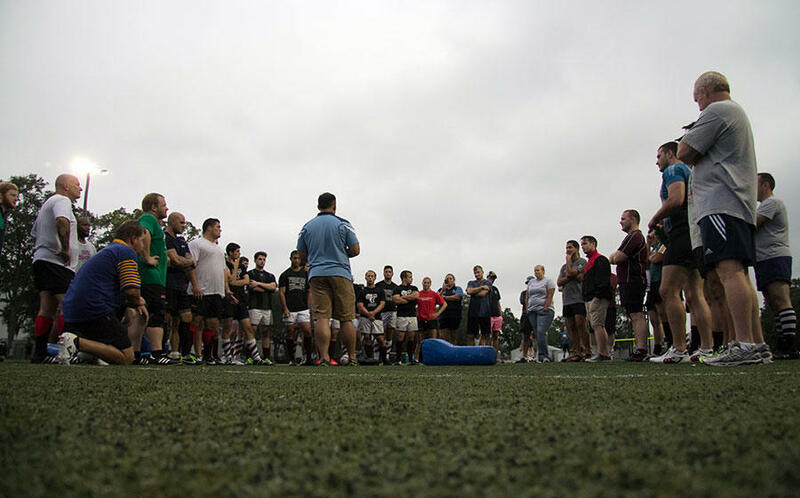 Your approval as a Registered User is at the sole discretion of USA Rugby. In connection with Your application to become a Registered User, You will be asked to submit certain information about yourself (“Registration Information”). If Your application to become a Registered User is approved, You will be asked to create a password-protected account to access certain nonpublic areas of the Sites (an “Account”). You agree to keep Your Account information and password confidential. 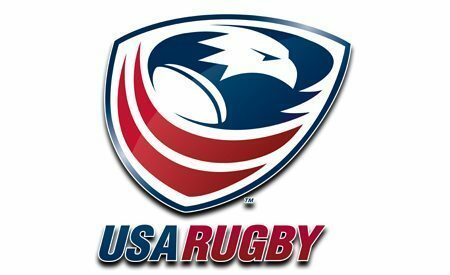 You agree to notify USA Rugby immediately of any actual or suspected unauthorized use of Your Account. You are solely responsible for all activities that occur through Your Account. 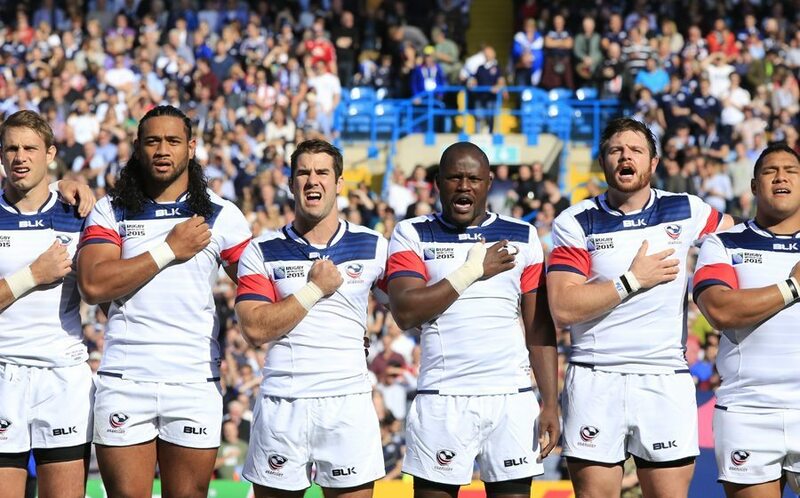 USA Rugby will not be responsible for any loss to You caused by Your failure to comply with these obligations. You represent and warrant that: (a) all Registration Information You have provided is true, accurate, current, and complete; and (b) You will maintain and promptly update the Registration Information to keep it true, accurate, current, and complete. As part of the registration process, You will be permitted to create a user ID for use in identifying Your Account (a “User ID”). 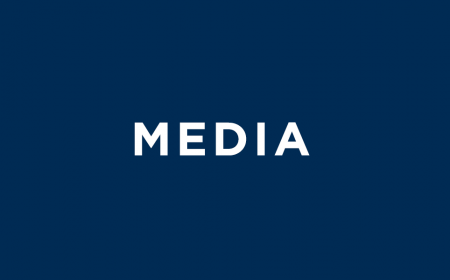 You may not: (i) select or use a User ID of another person with the intent to impersonate that person; (ii) use a User ID in which another person has rights without such person’s authorization; or (iii) use a User ID that USA Rugby, in its sole discretion, deems offensive. Failure to comply with the foregoing shall constitute a breach of this Agreement, which may result in immediate termination of Your Account. The Site includes links to web sites owned by third parties solely as a convenience to our users. 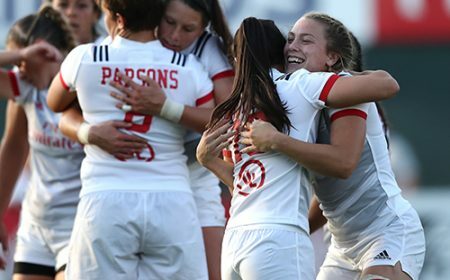 The terms and conditions of this Agreement do not apply to any such linked web sites, and such linked web sites are not under the control of USA Rugby. 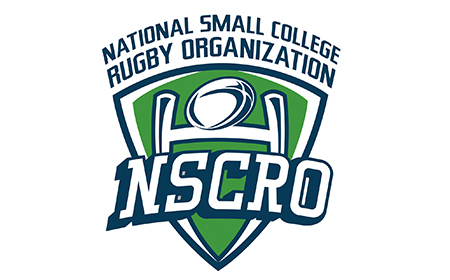 Further, USA Rugby does not endorse any such linked web sites, or the information, materials, products or services that are contained in or accessible through such linked web sites. 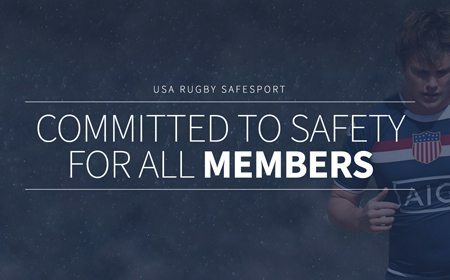 USA RUGBY DISCLAIMS ALL WARRANTIES, EXPRESS OR IMPLIED, WITH RESPECT TO THE INFORMATION, MATERIALS, PRODUCTS AND SERVICES THAT ARE CONTAINED IN OR ACCESSIBLE THROUGH SUCH LINKED WEB SITES, INCLUDING, BUT NOT LIMITED TO, IMPLIED WARRANTIES OF MERCHANTABILITY, FITNESS FOR A PARTICULAR PURPOSE OR NON-INFRINGEMENT. 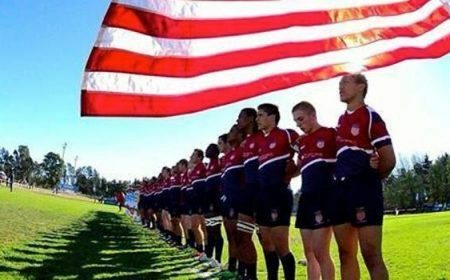 You acknowledge and agree that USA Rugby is not responsible for the content, accuracy, legality, decency, copyright compliance, privacy practices, security or any other aspects of any such linked web sites, and that the access or use of any such linked web sites is solely at your own risk, and you hereby waive any and all claims against USA Rugby with respect to such linked web sites. 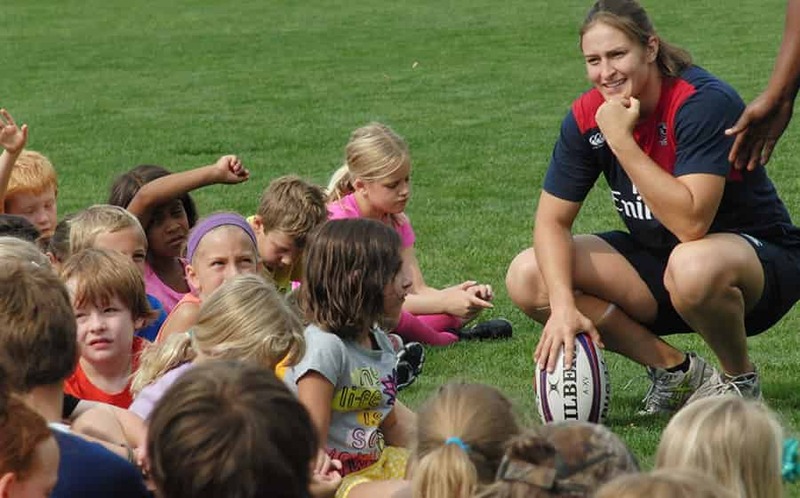 All information provided on this website (including but not limited to medical and safety, injury prevention, emergency planning, and legal), whether by USA Rugby or another person, is for general informational purposes only. The information provided does not address specific situations or facts, is not necessarily complete, accurate or up to date, and is not professional or legal advice. Users of this site should not rely upon the information in this site to make decisions about legal, medical, safety, security, insurance questions, or other specific questions or issues, but should seek the opinions of qualified professionals. 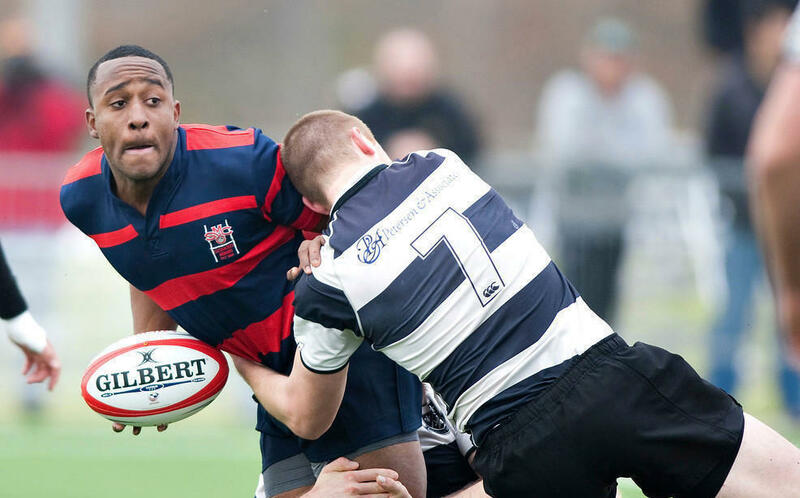 USA RUGBY IS NOT RESPONSIBLE FOR ANY PERSONAL INJURY, DAMAGE, LOSS, OR LIABILITY RESULTING FROM USE OR RELIANCE UPON THIS WEBSITE OR ANY INFORMATION CONTAINED IN THE WEBSITE. 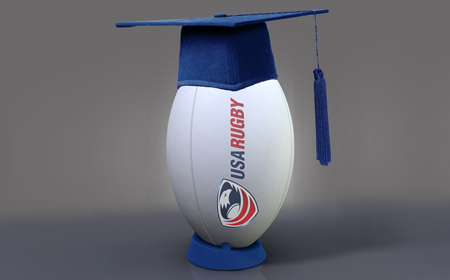 PRODUCTS OR MATERIALS OBTAINED OR ORDERED FROM, OR DESIGNED OR MANUFACTURED BY USA RUGBY (THE “PRODUCTS”, EACH A “PRODUCT”), THE SITES, AND ALL MATERIALS, INFORMATION, AND SOFTWARE INCLUDED IN OR AVAILABLE THROUGH THE SITES ARE PROVIDED BY USA RUGBY “AS IS” AND “AS AVAILABLE” WITH NO WARRANTIES WHATSOEVER. 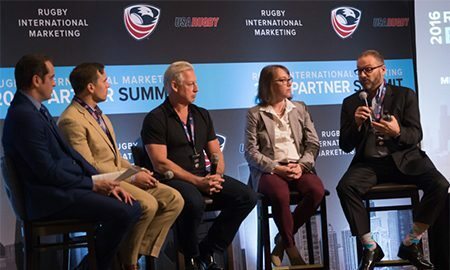 NEITHER USA RUGBY NOR ITS AFFILIATES REPRESENT OR ENDORSE THE ACCURACY OR RELIABILITY OF ANY ADVICE, OPINION, STATEMENT, OR OTHER INFORMATION DISTRIBUTED WITH THE PRODUCTS OR DISPLAYED, DOWNLOADED FROM, OR DISTRIBUTED THROUGH THE SITES. YOU AGREE THAT YOUR ACCESS TO THE SITES OR USE OF THE PRODUCTS IS AT YOUR OWN RISK AND THAT YOU ARE SOLELY RESPONSIBLE FOR ANY LIABILITY OR DAMAGE YOU INCUR THROUGH ACCESS TO THE SITES OR USE OF THE PRODUCTS. 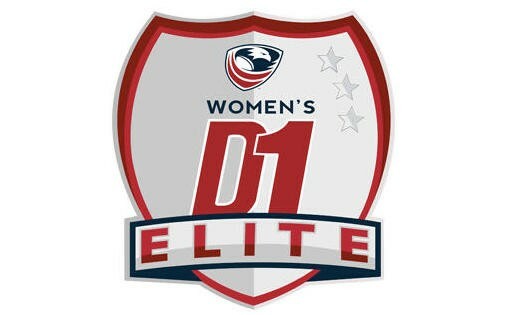 EXCEPT WHERE THE LAWS AND REGULATIONS OF A PARTICULAR JURISDICTION CONCERNING WARRANTIES CANNOT BE WAIVED OR EXCLUDED BY AGREEMENT AND EXCEPT AS SET FORTH IN THIS SECTION 12.1, USA RUGBY EXPRESSLY DISCLAIMS ALL WARRANTIES, WHETHER EXPRESS OR IMPLIED, REGARDING THE SITES AND THE PRODUCTS, INCLUDING, WITHOUT LIMITATION, ALL WARRANTIES OF TITLE, NONINFRINGEMENT, MERCHANTABILITY, AND FITNESS FOR A PARTICULAR PURPOSE. 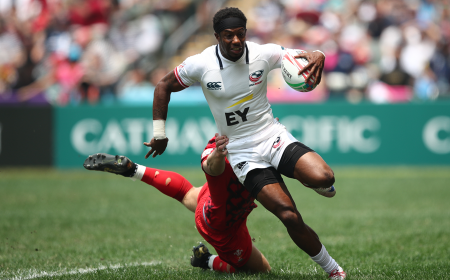 YOU RECOGNIZE THAT THE CURRENT STATE OF TECHNOLOGY DOES NOT ALLOW FOR ERROR-FREE ACCESS TO THE SITES AND INTERRUPTIONS, CRASHES, AND DOWNTIME BEYOND USA RUGBY’S CONTROL MAY OCCUR FROM TIME TO TIME. 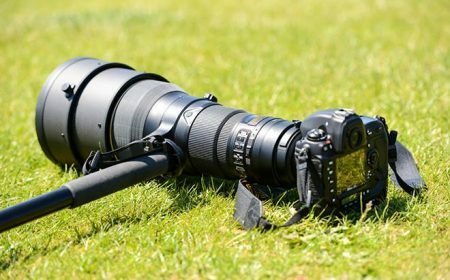 YOUR USE OF THE SITE AND THE PRODUCTS IS AT YOUR OWN RISK. 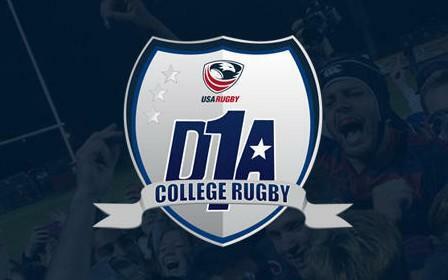 USA RUGBY SHALL NOT BE LIABLE FOR ANY DIRECT, INDIRECT, PUNITIVE, INCIDENTAL, SPECIAL, EXEMPLARY OR CONSEQUENTIAL DAMAGES, WHETHER IN CONTRACT, TORT, OR ANY OTHER LEGAL THEORY, ARISING OUT OF OR IN ANY WAY RELATED TO THE USE OR RELIANCE UPON ANY PART OF THE WEBSITE (INCLUDING LOSS OF BUSINESS, REVENUE, PROFITS, USE, DATA OR OTHER ECONOMIC ADVANTAGE), NO MATTER HOW CAUSED, EVEN IF USA RUGBY HAS BEEN ADVISED OF THE POSSIBILITY OF SUCH DAMAGES AND NOTWITHSTANDING ANY FAILURE OF ESSENTIAL PURPOSE OF ANY LIMITED REMEDY. 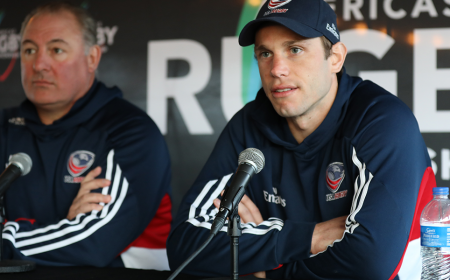 USA RUGBY’S TOTAL AGGREGATE LIABILITY FOR ANY DAMAGES ARISING OUT OF OR RELATED TO THIS AGREEMENT WILL NOT EXCEED $100. 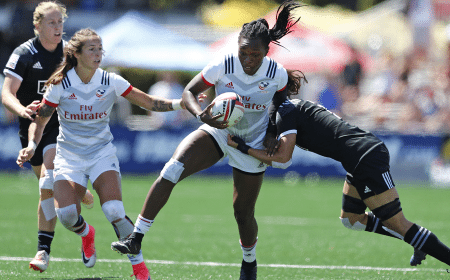 IN THE EVENT THAT ANY JURISDICTION DOES NOT ALLOW THE EXCLUSION OR LIMITATION OF INCIDENTAL OR CONSEQUENTIAL DAMAGES, USA RUGBY’S LIABILITY THERE SHALL BE LIMITED TO THE MAXIMUM EXTENT PERMITTED BY LAW. 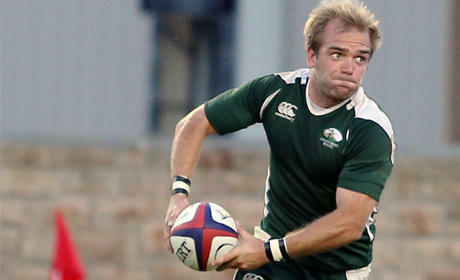 YOU UNDERSTAND THAT RUGBY INVOLVES RISK OF INJURY. YOU ACKNOWLEDGE THAT YOU UNDERSTAND THE PROPER OPERATION OF THE PRODUCTS. 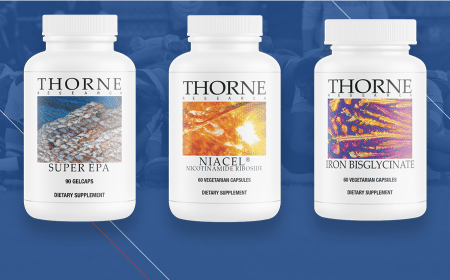 YOU UNDERSTAND THAT THE PRODUCTS CANNOT PREVENT INJURY AT ALL TIME OR UNDER ALL CIRCUMSTANCES, THAT IT IS NOT POSSIBLE TO PREDICT EVERY SITUATION IN WHICH THEY WILL NOT WORK, AND THAT THEIR USE CANNOT GUARANTEE YOUR SAFETY OR FREEDOM FROM INJURY WHEN YOU PLAY OR PARTICIPATE IN RUGBY OR RELATED ACTIVITIES. 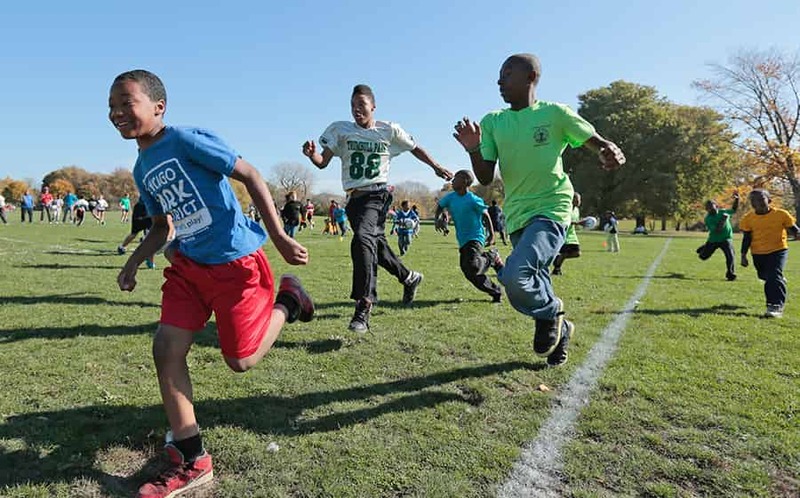 YOU KNOWINGLY AND FREELY ACCEPT AND ASSUME ALL SUCH RISKS ASSOCIATED WITH RUGBY ACTIVITIES, EVEN IF ARISING FROM THE NEGLIGENCE OF USA RUGBY. 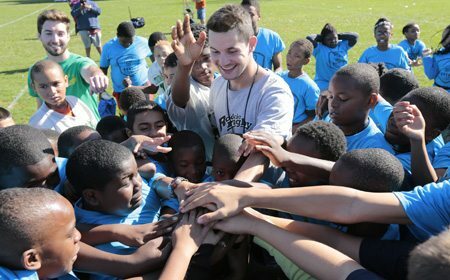 YOU FULLY AND FOREVER RELEASE AND DISCHARGE USA RUGBY AND ITS OWNERS, AGENTS, AFFILIATES AND EMPLOYEES FROM ANY AND ALL INJURIES, LOSSES, DAMAGES, CLAIMS (INCLUDING NEGLIGENCE CLAIMS), AND ANY OTHER LIABILITY OF ANY KIND OF OR TO YOU OR ANY OTHER PERSON, DIRECTLY OR INDIRECTLY ARISING OUT OF OR IN CONNECTION WITH USE OF THE PRODUCTS AND THE SITE. You hereby indemnify, defend, and hold harmless USA Rugby and its Affiliates, employees, agents, contractors, assigns, licensees, and successors in interest (“Indemnified Parties”) from any and all claims, losses, liabilities, damages, fees, expenses, and costs (including attorneys’ fees, court costs, damage awards, and settlement amounts) that result from any claim or allegation against any Indemnified Party arising from Your accessing the Site or Your breach of any term of this Agreement. You further indemnify, defend and hold harmless the Indemnified Parties with respect to any and all injury disability, death, loss or damage arising out of or in connection with selection, installation, maintenance, adjustment and use of the Products, whether arising from the negligence of the Indemnified Parties or otherwise, to the fullest extent permitted by law. 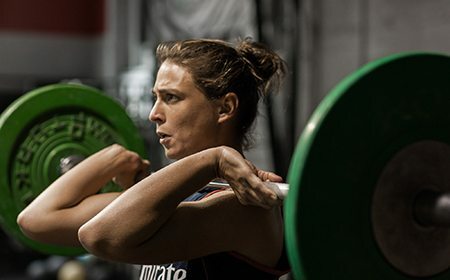 USA Rugby will provide You with notice of any such claim or allegation, and USA Rugby will have the right to participate in the defense of any such claim at its expense. 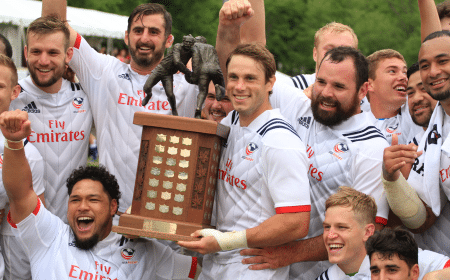 Except as expressly stated otherwise, any notices required or allowed under this Agreement will be given to USA Rugby by postal mail to the address for USA Rugby listed on the Site. 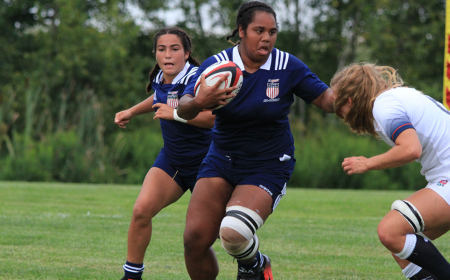 If applicable law requires that USA Rugby accept E-mail notices (but not otherwise), then You may send USA Rugby an E-mail notice by or by emailing USA Rugby at info@usarugby.org. 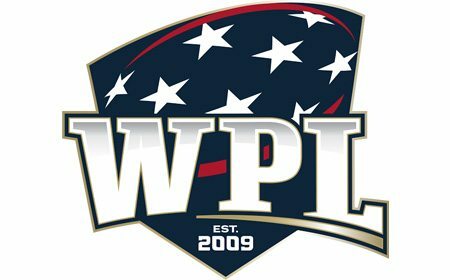 With respect to USA Rugby ‘s notices to You, USA Rugby may provide notice of amendments by posting them on the Site and You agree to check for changes. 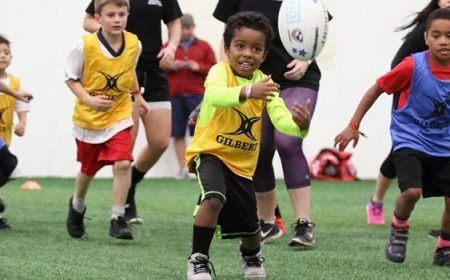 In addition, or in lieu thereof, USA Rugby may give notice by sending E-mail to the E-mail address You provide during registration for the Sites. 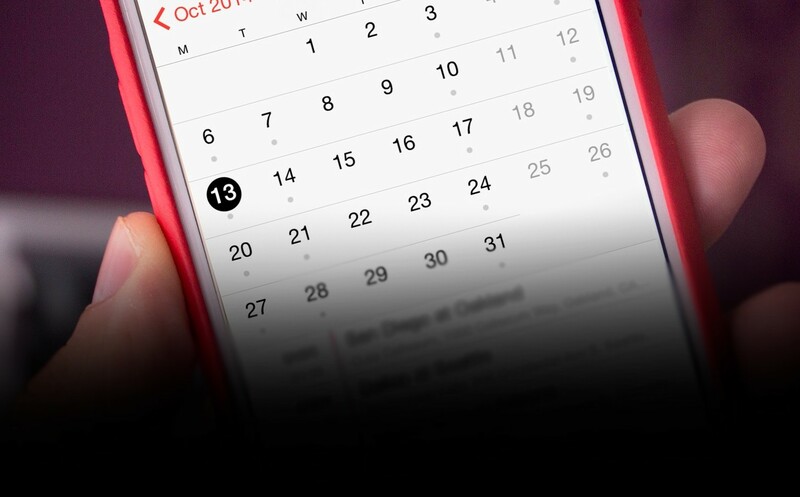 Notice shall be deemed given 24 hours after it is posted or an E-mail is sent, unless (as to E-mail) the sending party is notified that the E-mail address is invalid. 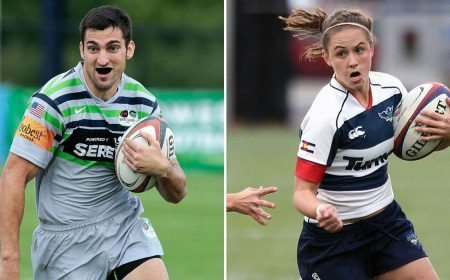 USA Rugby’s Affiliates are intended third-party beneficiaries under this Agreement with the right to enforce the provisions that directly concern Content to which they have rights. You may not assign or transfer any of Your rights hereunder, and any attempt to do so will be null and void. 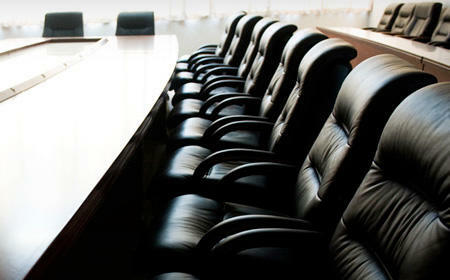 This Agreement sets forth the entire understanding of the parties and supersedes any and all prior oral and written agreements or understandings between the parties regarding the subject matter of this Agreement. This Agreement may not be modified except upon mutual written agreement of both parties. The waiver by either party of a breach of any provision of this Agreement will not operate or be interpreted as a waiver of any other or subsequent breach. If for any reason any provision of this Agreement shall be held invalid or unenforceable in whole or in part in any jurisdiction, such provision shall, as to such jurisdiction, be ineffective to the extent of such invalidity or unenforceability, without in any manner affecting the validity or enforceability thereof in any other jurisdiction or the remaining provisions hereof in any jurisdiction. This Agreement will be governed by the laws of the State of Colorado, without giving effect to any conflict of laws principles. The parties specifically exclude from application to the Agreement the United Nations Convention on Contracts for the International Sale of Goods and the Uniform Computer Information Transactions Act. You hereby irrevocably and unconditionally consent to the jurisdiction and venue in the state and federal courts sitting in and for Boulder, Colorado. In any such dispute, the prevailing party will be entitled to recover its reasonable attorneys’ fees and expenses from the other party.